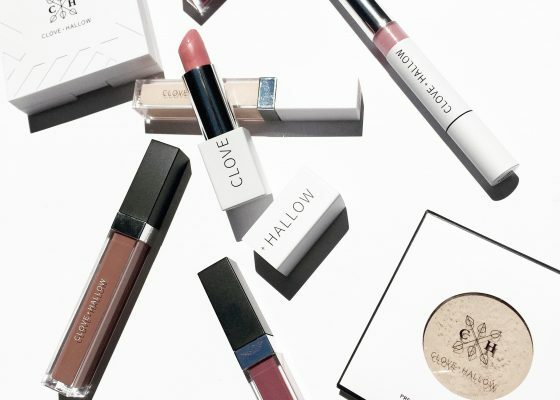 There are THREE amazing spotlight discovery boxes that were launched for the holiday season via one of the most coveted green beauty subscriptions, Beauty Heroes, that highlight three women lead businesses in green beauty. 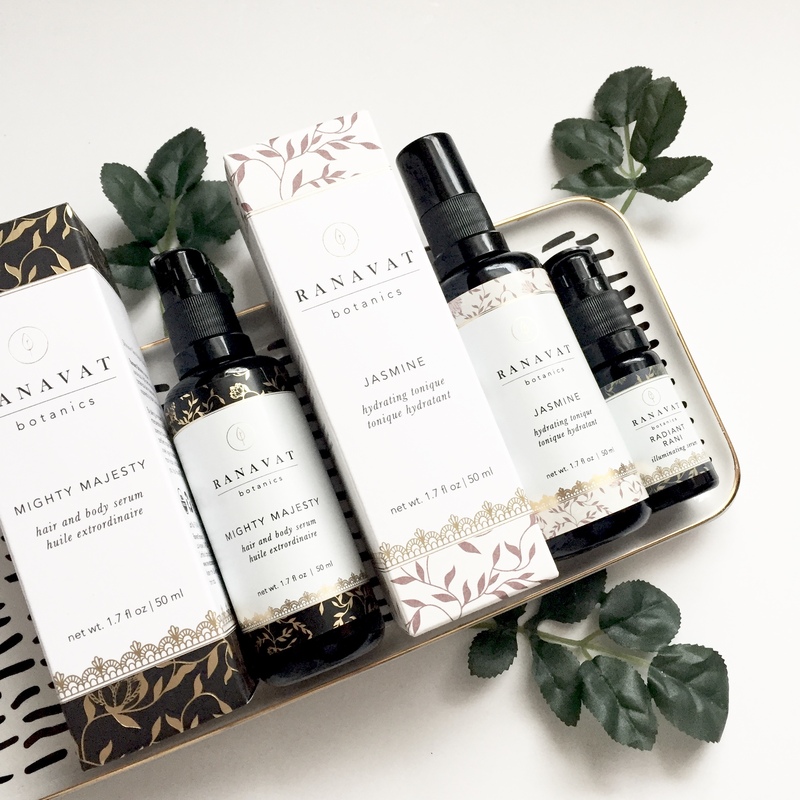 Wabi-Sabi, a brand that I have had the pleasure of testing over a series of months now and adore, Ranavat, a new to me brand that creates the most BEAUTIFUL Jasmine scented products that I just cant get enough of, and Beneath your mask, another new to me brand that has created some super luxurious body and skincare products. These brands are all so decadent and so unique.. 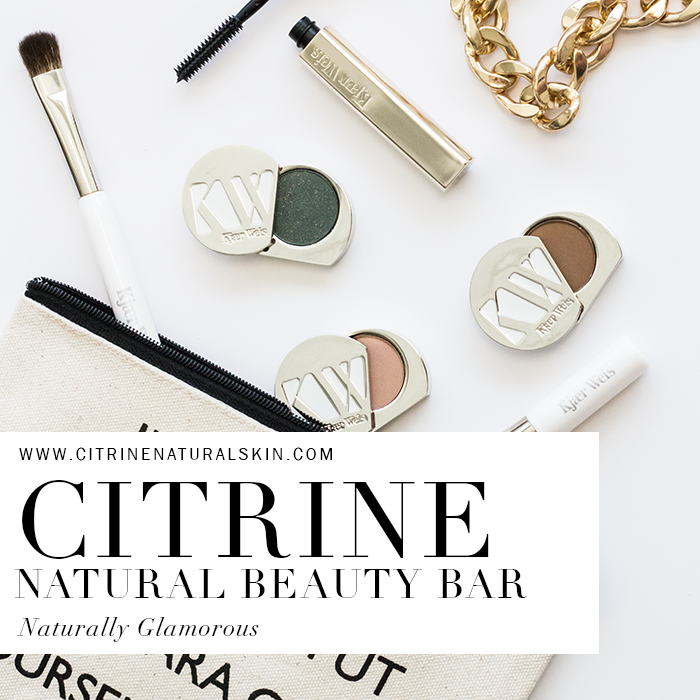 I wanted to review all three boxes to give you a good idea of how amazing these gorgeous brands and products are. 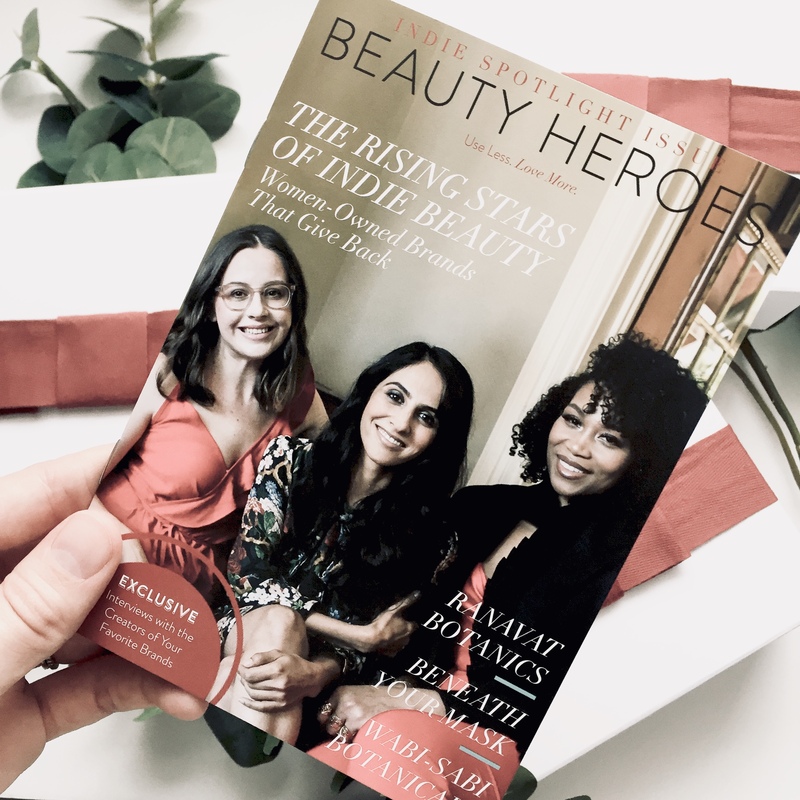 Beauty Heroes has released these special edition indie brand boxes for as long as supplies last.. with brands and bundle prices like these, they’re sure to sell out soon. Here is a synopsis of all three brands, their boxes, and what you can find inside each of them. They are all on for a cost of $69 a box and I have listed their actual values below. These boxes would all make PERFECT gifts for the holidays or a sweet little treat for yourself. Wabi Sabi is a brand that I have been testing since the Spring 2018. 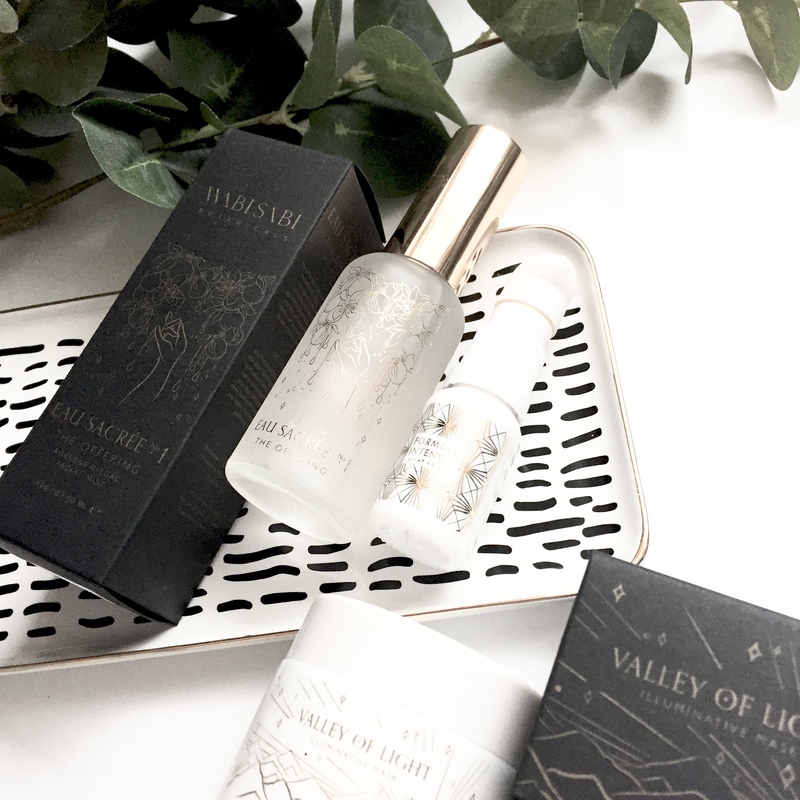 Elysse, the owner of Wabi Sabi, was kind enough to send me a bottle of the Light Reveal Serum (one of the items in this box) as well as a second serum to try out when she first launched. My first impression was the exquisite packaging, you cant go wrong with minimalist black and white adorned with gold features. 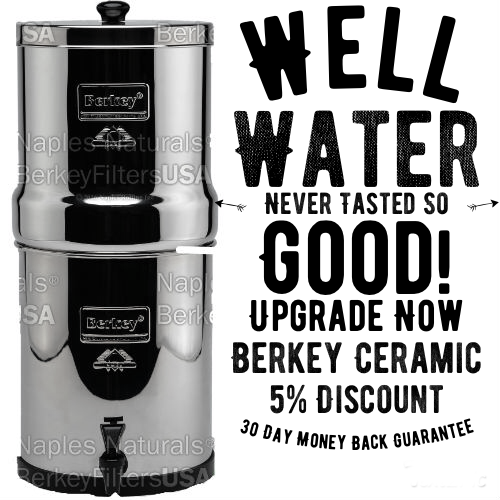 Then I read all about her sourcing methods and immediately knew this was a brand I wanted to try. 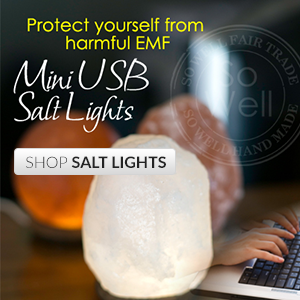 She sources ethically, responsibly and from areas all over the world. The quality of her ingredients are incredibly high. 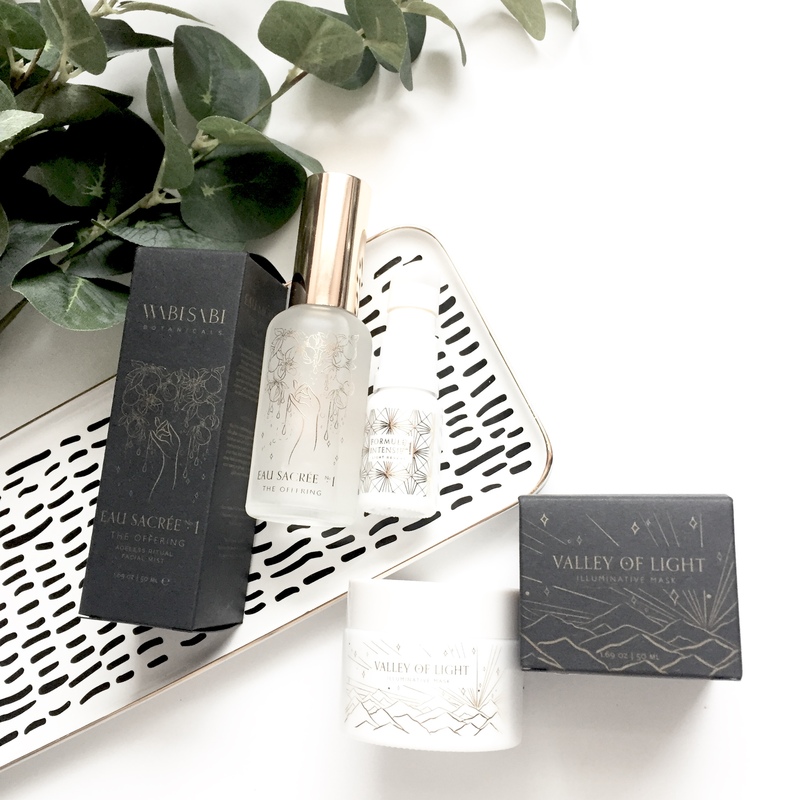 Since then, Wabi Sabi has gone on to release more products and rounded out the line beautifully. 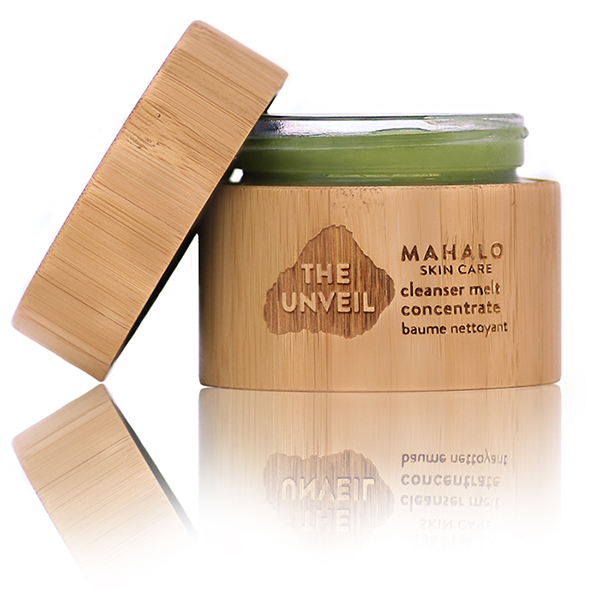 It is now filled with serums, face masks, and hydrosols all formulated with those who have sensitive skin in mind. This is certainly something I can appreciate as my skin type falls well into that category. 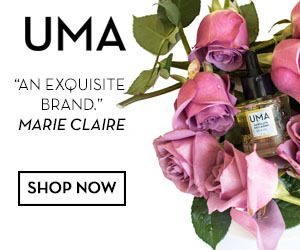 She omits essential oils and works with whole harvested ingredients. 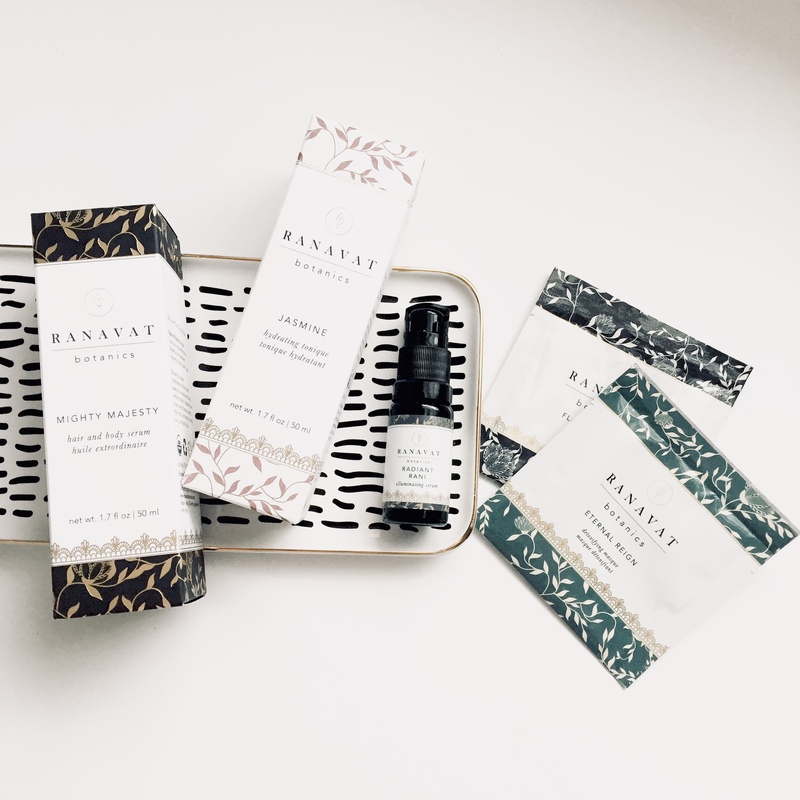 This box is certainly a treat for anyone who has sensitive skin and wants to try an option of skincare that is highly effective. 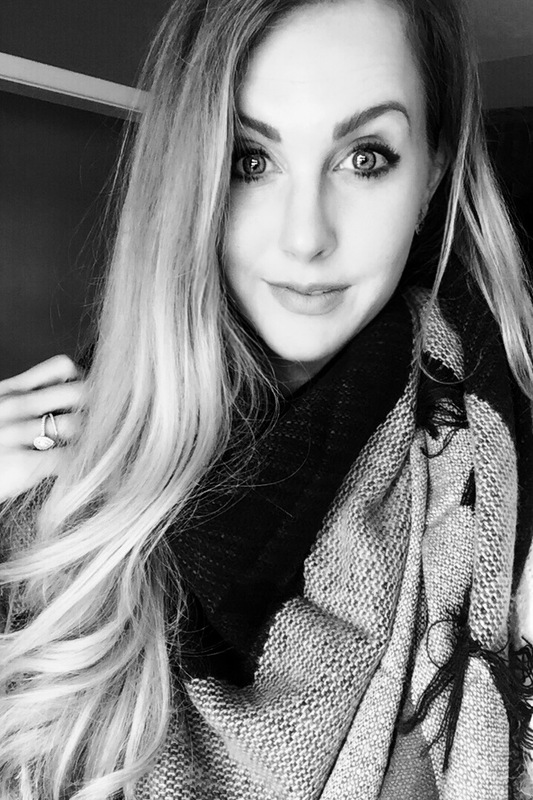 Not to mention, Elysse is a lovely person who truly puts all of herself into her creations. 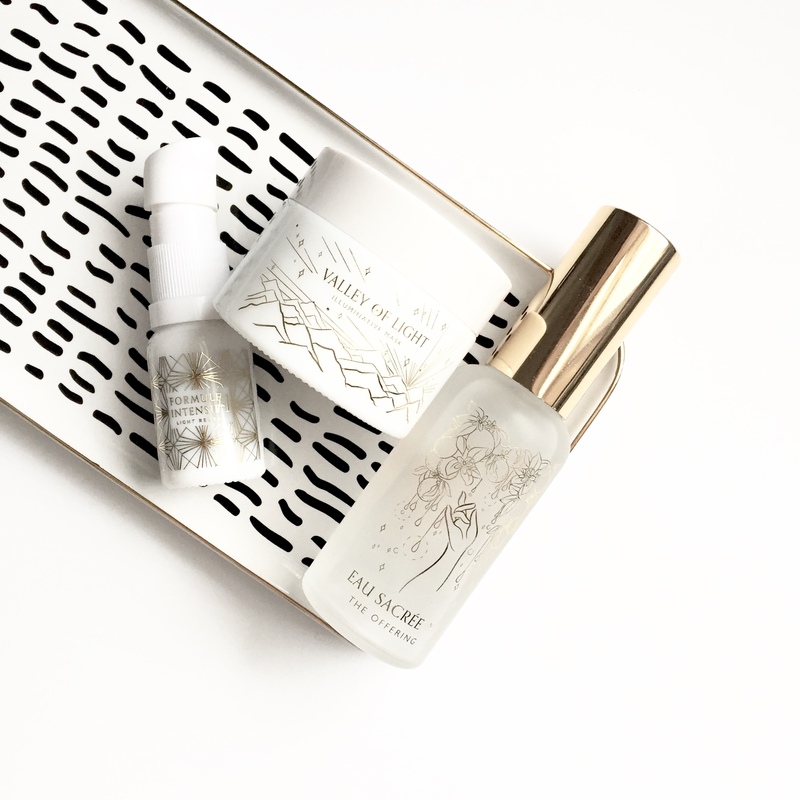 As soon as you experience Wabi Sabi, you notice the care that was given to put these skin treats together. In this box you recieve 3 full sized products; Light Reveal Face Serum, Valley of Light Face Mask, and The Offering Ageless Ritual Facial Mist. 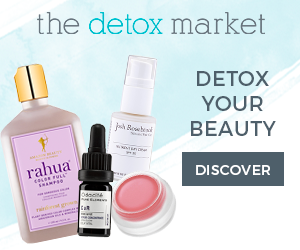 The Serum is a nutrient dense treat for your skin, filled with powerful oils that will make your skin glow and radiate. The face mask is a dry face mask that you add water or hydrosol to before applying, it doesn’t dry out too badly and crack your skin or pull too tight and reveals the most balanced and clear skin underneath after you wash off. 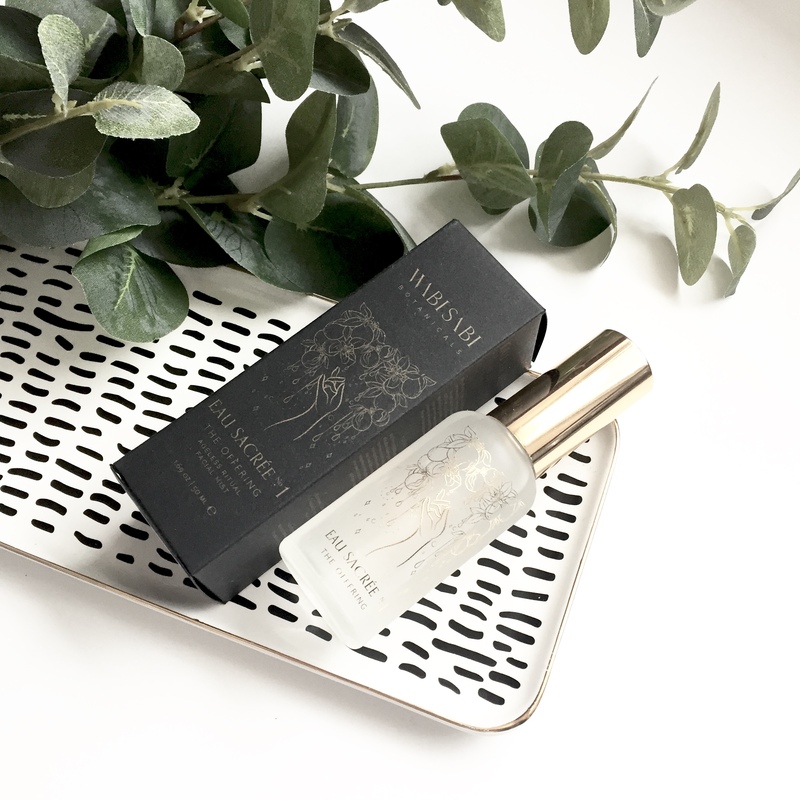 The Face Mist is so soothing and hydrating, not filled with essential oils which could aggrivate certain skin types and created the perfect canvas for the skin serum and moisturizers. 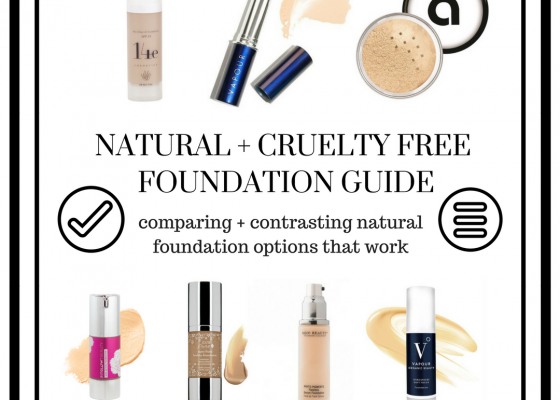 Here are their full ingredients for those who are interested in seeing the types of formulations Wabi Sabi puts together, you’ll notice some of these ingredients are quite rare and decadent. Theobroma Cacao (BALINESE CACAO)†, Ganoderma Lucidum (FERMENTED REISHI MUSHROOM)†, Coffea Arabica (BALINESE ARABICA COFFEE)†, Hibiscus Sabdariffa (ROSELLA)†, Curcuma Xanthorrhiza (TEMULAWAK)*, Coffea Robusta (BALINESE ROBUSTA COFFEE)†, Alpinia Purpurata (BALINESE RED GINGER)*. 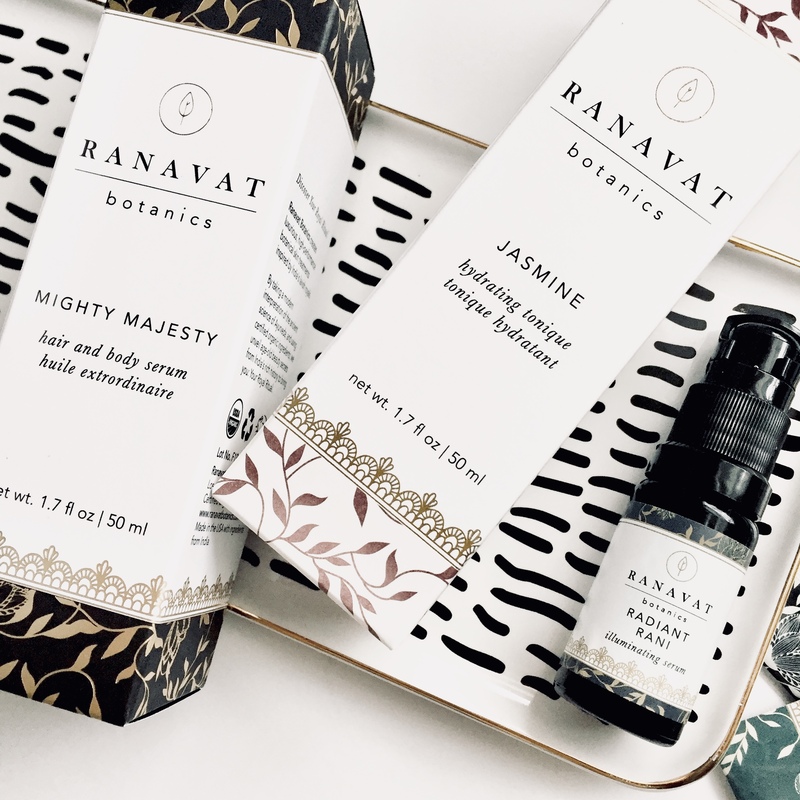 The Second option of the Beauty Heroes Limited Edition Indie Beauty Discoveries is a ‘new to me brand’ called ‘Ranavat’. 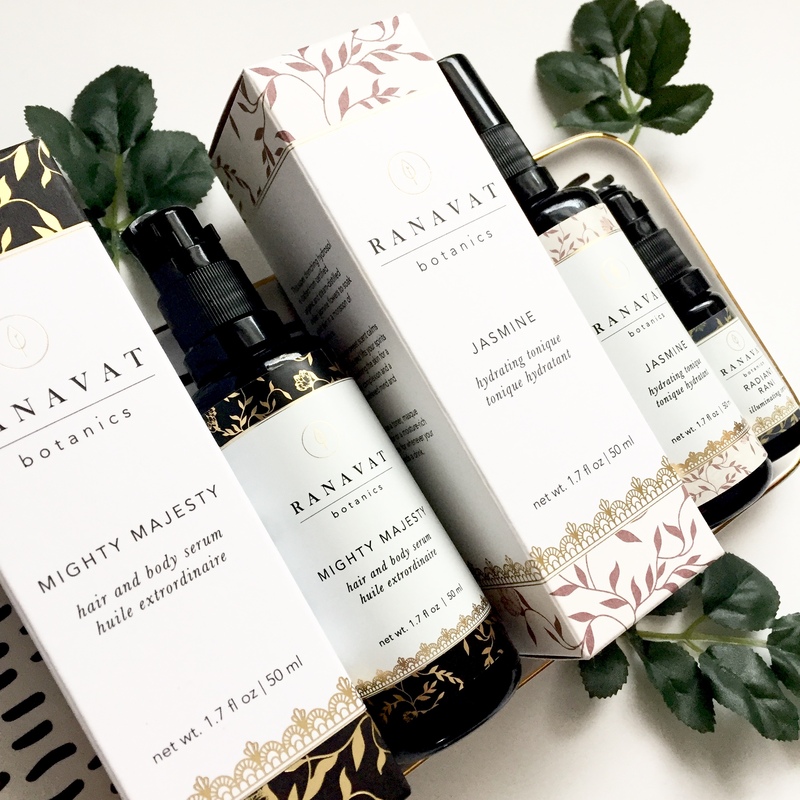 I am SO glad I have been introduced to Ranavat as one of these products (Mighty Majesty Hair and Body Oil) has quickly become a top choice in my own beauty cabinet (though, the others are just as amazing). You get a good selection from the range of her line in this box and it gives a really great idea of how well made these products are. 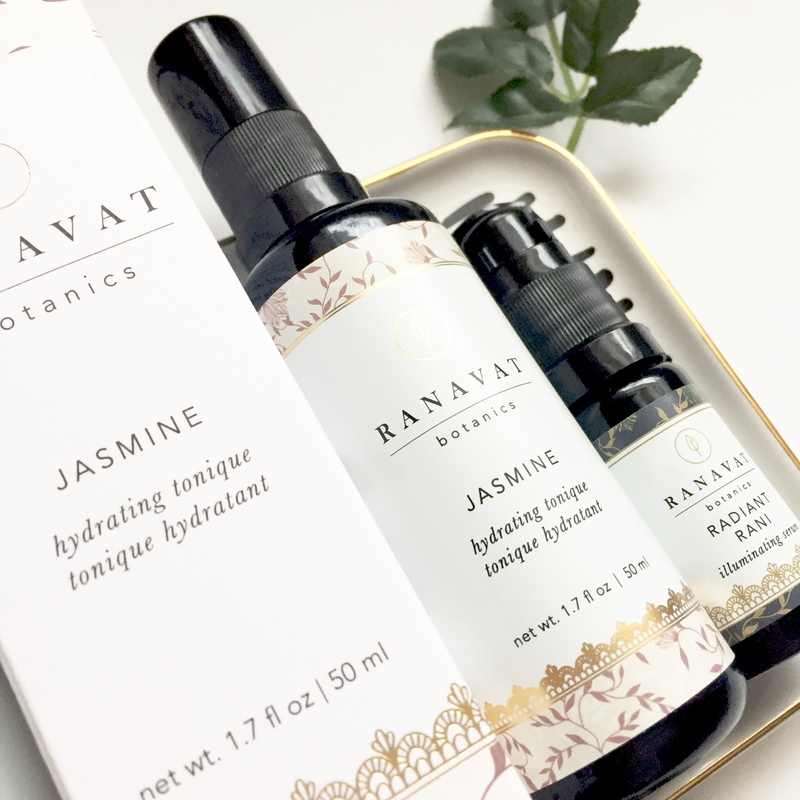 The one thing that really pulled at my heart strings in these products, was the addition of Jasmine in two of the full sized bottles. Jasmine is one of those scents that is so intoxicating and gorgeous, and when someone wants to add it into my beauty products.. I’m all for it! Seriously, you will smell like an absolute Goddess when you wear this stuff, it’s bonkers! 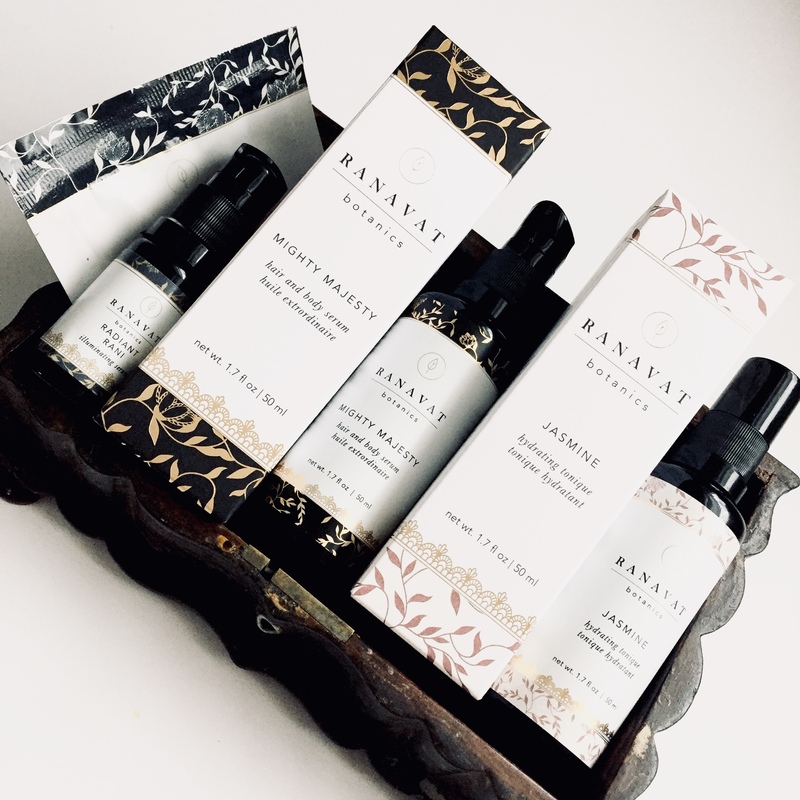 In this box you receive, a bottle of the might majesty hair and body oil, a bottle of Jasmine Tonique Mist, a bottle of the Radiant Rani Illuminating Botanical Serum and Two Sachets of their Face masks to try. 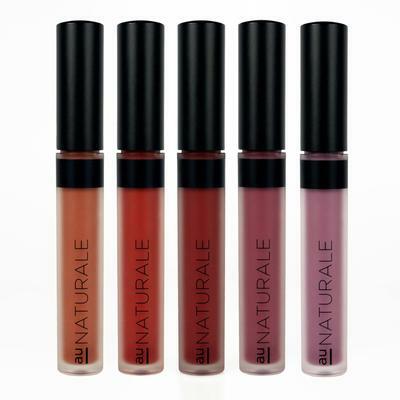 Not one of these products disappointed, and they were Luxe Luxe Luxe! I personally am so in love with the Hair Serum as it is so nourishing to my hair, helps tame fly aways and I walk around smelling like Jasmine! 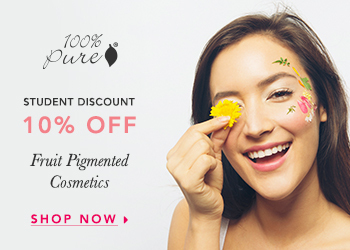 Certified Organic Sunflower Oil, Organic Jasmine Oil, and Organic Amla Extract. Sesamum Indicum (Sesame) Oil*, Oryza Sativa (Rice Bran) Oil*, Caprylic/ Capric Triglycerides (Vegetable Derived)”, Rubia Cordifolia (Manjishta)*, Crocus Sativus (Saffron)*, Symplocos Racemosa (Lodh Tree Bark)*, Cyperus Rotundus (Nutgrass)*, Vetiveria Zizanoides (Vetiver)*, Glycyrrhiza Glabra (Licorice Root)*, Cinnamomum Tamala (Bay Leaf)*, Prunus Cerasoides (Himalayan Cherry)*, Nelumbo Nucifera (Lotus Seed)*, Inula Racemosa (Pushkarmool)*, Curcuma Longa (Turmeric)*, Berberis Aristata (Indian Barberry)*, Mesua Ferrea (Cobra Saffron)*, Butea Menosperma (Flame Of The Forest)*, Callicarpa Macrophylla (Priyangu)*, Ficus Bengalensis (Banyan)*, Brassica Campestris (Mustard)*, Tocopherol (Non-GMO Vitamin E)”, Rosa Damascena (Rose Essential Oil)*. Solum Fullonum (Fuller’s Earth Clay)”, (Bentonite Clay)”, Honey & Malodextrin (New Zealand Manuka Honey Powder)*, Curcuma Aromatica (Wild Turmeric Powder)*, Psoralea Corylifolia (Bakuchi Seed Powder)*, Glycyrrhiza Glabra (Licorice Root Powder)*, Citrus Sinensis (Orange Peel Powder)*, Santalum Album (Sandalwood Powder)*, Maranta Arundinacea (Arrowroot Root Powder)*, Crocus Sativus Flower (Saffron)”. Honey & Malodextrin (New Zealand Manuka Honey Powder)*, Montmorillonite (French Green Clay)”, (Bentonite Clay)”, Azadirachta Indica (Neem Powder)*, Centella Asiatica (Gotu Kola Powder)*, Moringa Oleifera (Moringa Leaf Powder)*, L-Ascorbic Acid (Vitamin C)”, Maranta Arundinacea (Arrowroot Root Powder)*. Steam-Distilled Jasmine Officinale (Indian Jasmine Flowers)*. 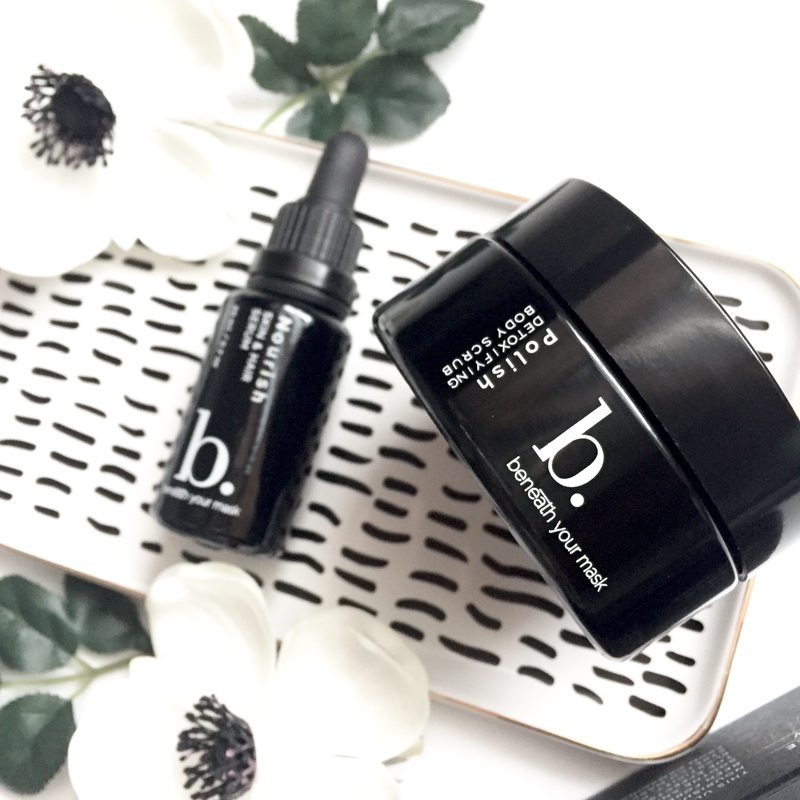 Last but certainly not least is the ‘Beneath Your Mask’ Discovery which highlights three nourishing and incredibly hydrating products for both face and body. 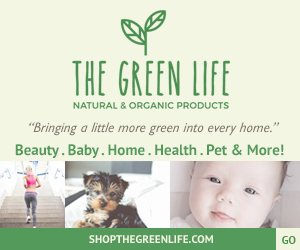 They are all multifunctional products and if you’re a lemon scent lover, this box is for you! You receive three full sized products within this box and they are all such treats. This is definitely a box for those who might require a little boost to their self care routine. The Polish Detoxifying Scrub is a body scrub that sloughs off dead skin and leaves a nourishing layer of hydrating oils behind. 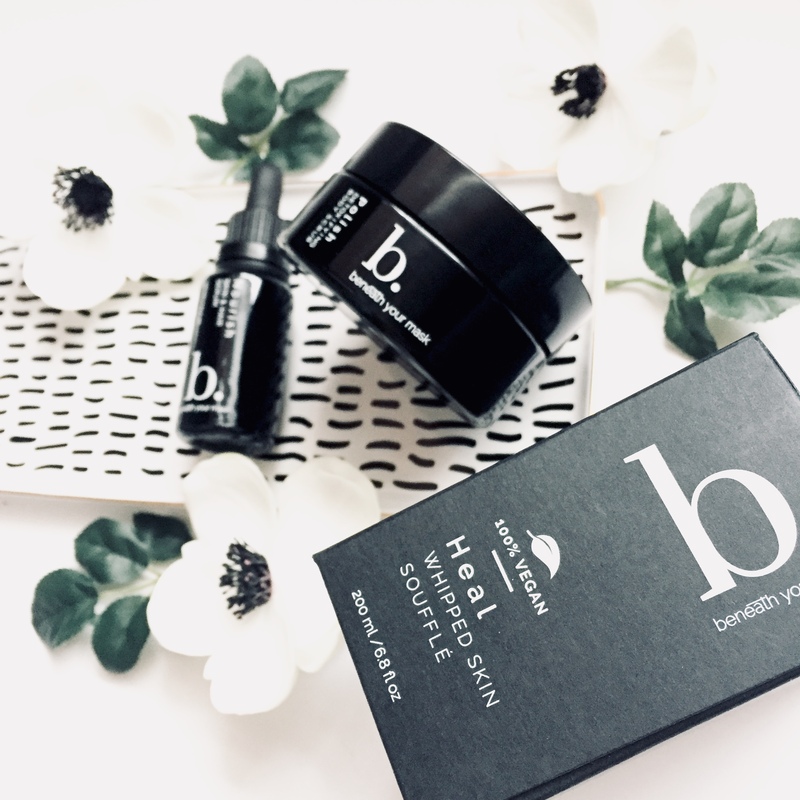 Cap that off with the Vegan Heal Whipped Skin Souffle and your skin will be hydrated and happy. This body butter comes in an incredibly generous sized jar and is a soft fluffy whipped texture, smells like sugared lemon. Lastly, the box comes with the Nourish Skin and Hair Serum which is filled to the brim with high quality and skin boosting oils that plump the skin and create a dewy finish. Lemongrass is definitely the most prominent scent in all three of these products and will leave you smelling fresh! 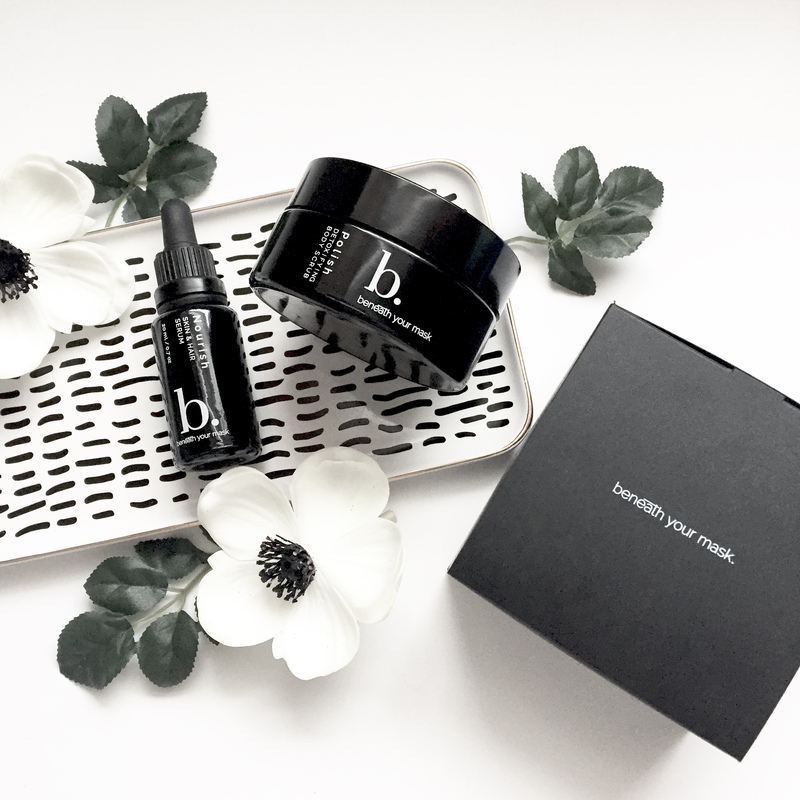 To check out more details from Beauty Heroes on these limited edition boxes or to grab one for yourself or a loved one, you can head to their website HERE.